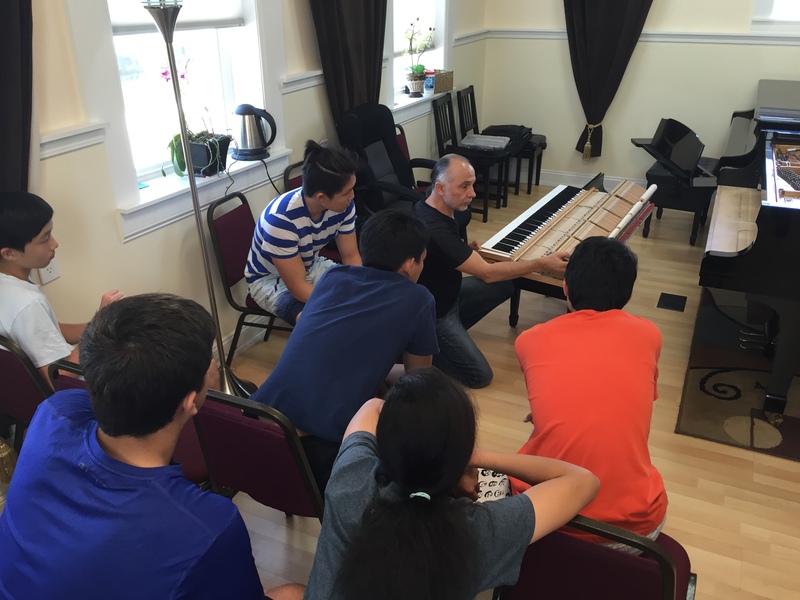 While private lessons provide the core, group instruction in theory, history, ear-training, and performance preparation makes the complete musician. All students serious about music should be involved in regular classes that develop these skills that cannot receive adequate attention during private lessons. Monthly performance classes are open to all students enrolled in private lessons without additional charge. These usually take place monthly on late Saturday or Sunday afternoons. Besides performing opportunities, be they recitals, festivals, or competitions, those times when students gather and share in other ways are also invaluable. At the CAM, our instructors arrange Performance Classes throughout the year as required. These are group classes for students without parents in which they all share and play for each other, partially to gain performance experience prior to recitals and events, and also to learn valuable performance etiquette, presence, and poise. See the sign-up sheet when classes are posted in the hallway of the CAM. For those students who have missed regular private lessons for any reason, every instructor at the CAM holds group make-up classes throughout the year. 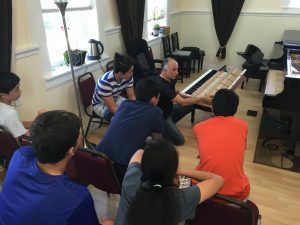 During these classes, instructors go into the habits and techniques of practicing efficiently, conduct ear-training sessions, or a variety of other topics necessary for a good foundation in music. Contact your primary instructor for details about the next class he or she plans to hold.